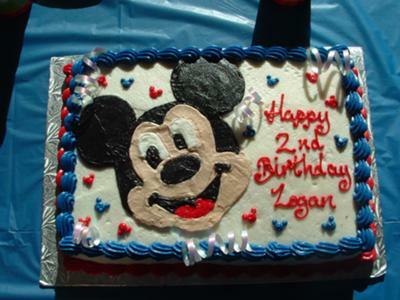 I made this Mickey Mouse Cake for our son's second birthday! It was a Mickey Mouse Theme Party. We had Mickey Mouse decorations and the Mickey cake was delicious!